Video isn’t for the faint of heart. You need to feel confident enough to put yourself, and your brand, out there. But it’s a medium that a lot of marketers are exploring as it holds a lot of potential. In fact, Cisco’s Visual Networking Index predicts that 82% of all internet traffic will be video by 2021. Video is a main source of content consumption, including everything from the news to YouTube tutorials. And as marketers looking to demonstrate thought leadership and credibility, video presents a unique opportunity to get in front of and educate your target audience. However, 64% of marketers agree that video is the hardest type of content to produce, turning many people away from embracing video. Never one to shy away from a challenge, we’ve been diving in head-first here at TopRank Marketing. 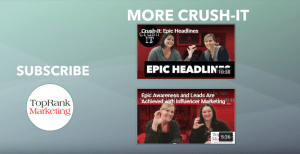 We’ve been doing video for a while through our Digital Marketing News casts, but we recently started expanding to include a video series (Crush-It!) that inspires the next generation of curious, courageous, and clever digital marketers. Each video features one of our internal experts, which brought both seasoned and green video personalities to the stage. If you’re thinking that you want to enter the world of video marketing, check out our team’s video marketing tips from their own experiences in front of the camera, as well as behind the scenes. One of the anchors for our Digital Marketing News YouTube series, Tiffani is a veteran in front of the camera. Having starred in over 100 videos, as well as directed videos for a few of our clients, Tiffani knows how to organize and shoot effective videos. Follow Tiffani on Twitter and LinkedIn. As Tiffani’s Digital Marketing News co-anchor, Josh also has plenty of advice for marketers going in front of or behind the camera. 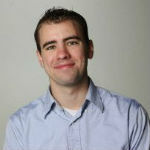 With over 100 videos under his belt as well, Josh is no stranger to video marketing. Follow Josh on Twitter and LinkedIn. Recently appearing in one of our latest Crush-It! episodes, Nick has useful tips for first-timers. Having covered video marketing strategies and tips in the past for our own blog content, Nick’s also picked up some advice from leading brands and video experts. Follow Nick on Twitter or LinkedIn. Video isn’t widely known for being SEO-friendly. But as a dedicated SEO expert, Steve provides great insight into how you can still take advantage of video for search marketing. Steve has also appeared in our Crush-It series, becoming a breakout star with some helpful tips. Follow Steve on Twitter and Linkedin. #1 – Get ready for your close-up. Video is all about “looks,” but looks don’t just boil down to your hair or makeup. It’s more so about making sure that your talented cast comes prepared and well-versed on the subject they’re going to be talking about. This will allow them to appear more comfortable, relaxed, and confident on camera. Afterall, everyone appearing in the video will be an extension of your brand. To help you get ready for your close up and put your best self forward, here are some tips from our team on your appearance and demeanor. In addition to keeping your appearance in check, you also can’t stop once you start. This lesson can be applied to plenty of things you’ll try throughout your marketing career. But if you want to experience success with your videos, it will take a lot grit, determination, and outside-the-box thinking. Even if you aren’t getting the views or subscriptions you want, you have to keep at it, optimizing your approach along the way. We’ve been iterating on our approach to video since 2016, starting with the basics, learning as we go, and striving to make each take better than the next. Here’s an early example from us from a couple years back. And here’s a video from last week. We’ve been working on finding the perfect lighting scenario, experimenting with different cuts, angles, and interstitials, and other refinements. #2 – You don’t need a blockbuster budget. Video is an expensive endeavor. Or, it can be. Between lighting, audio, video, and editing equipment, it can quickly become a costly investment. But just because you have all of the bells and whistles, doesn’t mean your video will be a success. Instead, focus on the content of your videos to ensure that your video will be watched and appreciated. Our own videos don’t have a huge budget. For example, we shot the below video in one of our offices and used the creative theme of meditation to engage our audience. It was an out-of-the-box idea, but it currently holds the title for longest watch time. #3 – Practice your narrative, not your lines. When it comes to film, there’s usually a script that’s followed. When it comes to your video marketing, you’ll also want a script that helps you stay on track and express all of your talking points. However, while it’s tempting to document everything you want to say, word for word, avoid that urge as best as you can. Having a script is helpful, but it can also cause your video to feel less organic or authentic. Check out our team’s tips below for practicing ahead of filming. #4 – Nail down your intention. If you’re writing a blog post, putting together an eBook, or drafting an email, there’s typically a call to action (CTA) with a link. When it comes to video, however, that type of call to action becomes harder to include. While links are important and can be included as bumpers or within the video description, we would challenge you to think more critically about the action you want to inspire from your audience. Video offers a vastly different experience for your audience than physical text. This means your CTA can offer a different experience as well. Do you want viewers to subscribe? Like the video? Share it? Comment? All of those CTAs now become options. You need to decide what you want your audience to do before you think about a measurable CTA. For our own Crush-It videos, we added clickable CTAs at the end of our videos to subscribe to our channel or watch another episode. #5 – Put someone in the director’s chair. If you have a low-budget for your video marketing projects, odds are you don’t have a director or cameraman to back you up. While we don’t expect you to go out and hire someone to fill that void, simply enlisting a coworker or friend to press record has immense value. Even if they don’t have video experience, if they can help you start and stop your video clips, you can save hours in the editing chair. #6 – Video transcriptions aren’t just for closed captioning. Video has a reputation for not being SEO-friendly. Because video by nature has minimal crawlable text, the SEO value is perceived to be low. However, there’s a workaround we’ve discovered that can more than make up for a video’s lack of text. What’s that secret? Transcriptions that allow for supportive, repurposed blog content and increased search visibility. #7 – Be your biggest critic. If you’re anything like me, you do not like the sound of your own voice or watching yourself on screen. But if you want to improve your videos, it’s something that you have to do to measure your own performance. Skipping out on watching yourself can lead to you repeating past mistakes. Video marketing is a large undertaking for any brand as it involves looping in your brand’s internal thought leaders, investing in new equipment, and putting your brand into uncharted territory. But if you let the fear of budget, failure, or judgement hold you back, you’ll never reach the results you’re looking for. For your best chance at creating video that’s award-worthy, it’s important that you stay organized, authentic, and determined. And we speak from experience when we say that it can be challenging at times, but the payoff is video content that educates and inspires – a common goal for many marketers. 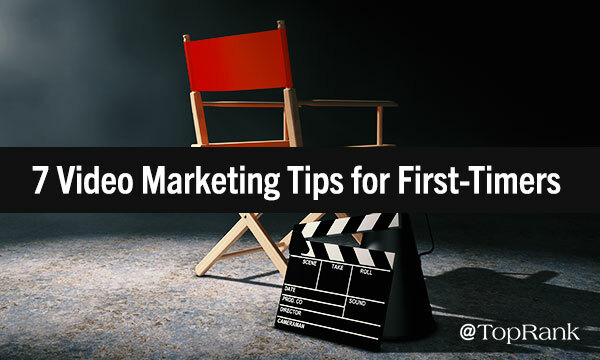 The post Camera Shy: 7 Tips for First-Time Video Marketers appeared first on Online Marketing Blog – TopRank®. Please join us once more next week, when we’ll share an exciting new array of the latest marketing news, and in the meantime you can follow us at @toprank on Twitter for even more timely daily news. Also, don’t miss the full video summary on our TopRank Marketing TV YouTube Channel. 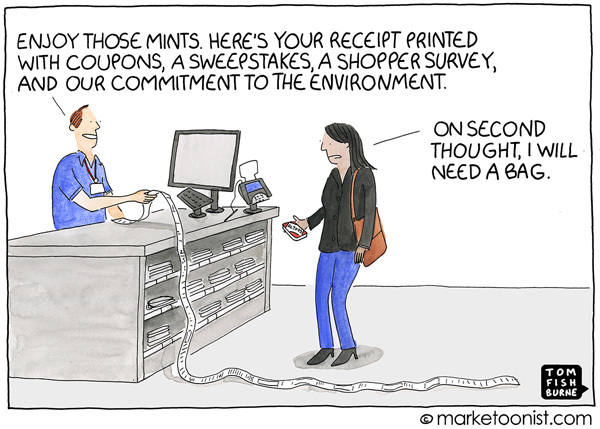 The post Digital Marketing News: 3.3B Global Social Users, Facebook’s Loyalty Prediction AI, & More appeared first on Online Marketing Blog – TopRank®. It’s been a spectacular decade to be a nerd. The superheroes we love leaped from the page to the multiplex, each movie connected to the rest with the kind of complex storytelling we love in comic books. It started with Iron Man in 2008. 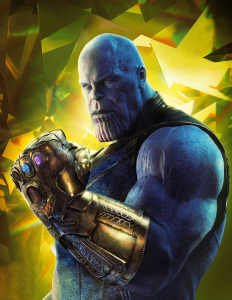 This weekend, “Avengers: Infinity War” hits theaters, with over two dozen heroes throwing down against a celestial being with godlike powers (who, for some reason, has a chin that looks like a raisin). The California Raisins reboot looks really dark. You get the idea. When a team is really working together, all of them do better. Which, of course, makes me think all about content marketing. At TopRank Marketing, we believe the present and future of reaching an audience depends on confluence, a superhero team-up of all our content marketing tactics and channels working together. Here’s a quick guide to the members of our superhero “team,” and how they assemble to amplify each other’s superpowers. Captain America is the heart and soul of the Avengers team. He’s not the most powerful guy on the team, though he does pack a mean punch. His primary value lies in bringing humanity to a team of gods, aliens, and androids. He unites the team and gives everyone their marching orders, leading the charge on the ground. Your content should be at the heart of your marketing super team, too. It should speak directly to your target audience on a human-to-human level. Your content can emotionally engage, deliver value, and ultimately persuade people to take action. Spider-Man is the lone “street level” hero on the Avengers team. He started out doing solo work cleaning up the streets of Queens. As part of the team, his main role is to assist the heavy hitters, tying their attacks together with his web-slinging, wall-crawling acrobatics. SEO used to be the biggest deal in marketing, a strategy and tactic all unto itself. Now SEO works best as part of a team. Great content (preferably co-created with influencers) can benefit from a light dusting of SEO. Just remember that with SEO power comes responsibility: Use SEO to boost great content, not to trick search engines into ranking mediocre content higher. There’s one thing for sure about the Hulk: He’s a hard guy to ignore. Not only is he capable of punching an airplane out of the sky, he’s 10 feet tall and green. He’s not great on stealth missions, is what I’m saying, but if you want to make a splash, he’s your man. Influencers share some of the Hulk’s properties (hopefully not the “giant rage monster” part). Some influencers make their living off of being seen, which means they have a built-in audience you can reach with their help. Some are more on the Bruce Banner side, with smaller followings that are still valuable if they’re your target audience. Hawkeye is one of two Avengers with no super powers, but he proves his value to the team with his technological savvy and arsenal of specialized arrows. He excels at precision strikes that hit valuable targets. Organic social used to be a more high-powered team member, but the rise of the algorithm in social media feeds have reduced its reach and power. Still, it’s good for getting the word out to a select audience – you just have to be more strategic on your social channels to compensate for the lack of power. Iron Man takes Hawkeye’s precision strike capability and adds extra maneuverability and power. He can swoop in and blast a target with an arsenal of rockets and pulse rays, all while delivering devastatingly sarcastic quips. Digital advertising gives you the ability to hit precise audiences at scale. There’s more of a cost associated with it than with organic tactics, but it’s an investment that can get substantial returns. As you can see, each member of our super squad is powerful on its own. But the magic really happens when all these tactics work together. And you can’t plan that kind of teamwork in the heat of the battle, either. It has to start before a single word of content is drafted. When we’re creating content, first we determine search demand. Looking at what people are searching for helps us narrow down our topics and makes sure the content will have SEO built in. Then we search for influencers who are experts on the topic and have a sizable, relevant following. We invite influencers to co-create the content with us. True collaboration with influencers makes them far more likely to be excited about the resulting assets, which means they’re more motivated to share. Part of our content creation process is designing images and messages for organic social amplification. We provide influencers with everything they need to share the asset on social media. Influencer shares are crucial for reaching the target audience, so we make it as easy for influencers to share as possible. Finally, we use paid social to amplify the content directly to our clients’ most valuable audience. We create unique social images and messages to compel people to take action. It’s easy to see how the super-team approach makes each tactic work better. Each of the tactics is working toward the same unified goal: reaching an audience and persuading them to take action. What turns a ragtag group of marketing tactics into an elite audience-persuasion force? Strategy and communication. In our agency, we have a content team, an SEO team, a social media team, etc. But we make sure the teams are working together by design. We regularly meet together to make sure we’re all sharing the same vision. And we also share best practices with each other. The more each of us knows about everyone else’s area of expertise, the stronger we all are. The post Marketers, Assemble! 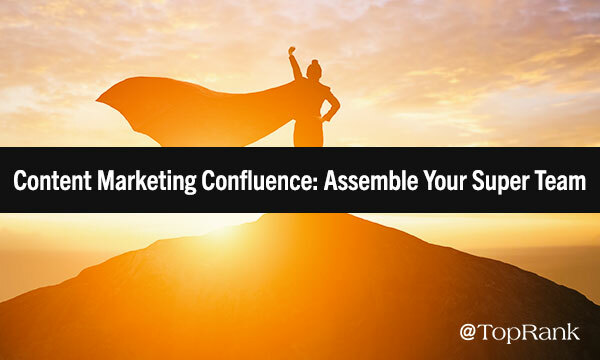 The Super-Powered Team-Up of Content Marketing Confluence appeared first on Online Marketing Blog – TopRank®. Spending 40 hours of every week at a place you dread is a tough way to go through any stretch of life. I’ve been there and I’m sure many of you have as well – especially if you work in digital marketing, which can often be a fast-paced, demanding, and stressful field. 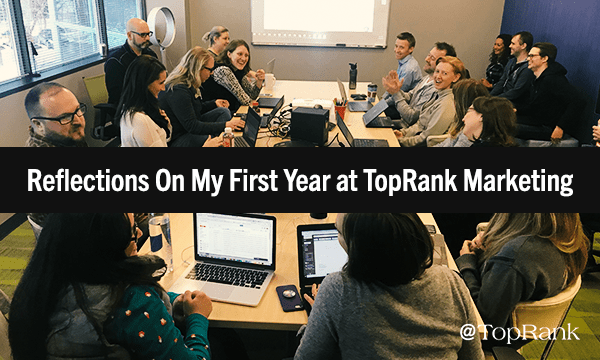 If you’re a talented writer, strategist, SEO or analyst considering a career move, I highly recommend checking out TopRank Marketing – even if you’ve never worked in an agency. Here are five reasons I’ve felt right at home. Not only do our clients keep me on my toes – so do my coworkers. To me, this is probably the most invigorating aspect of working at TopRank Marketing. Each day I get the chance to absorb knowledge from tremendously adept and skilled pros in various disciplines. This is by design; attracting and retaining high-caliber talent is central to our operation. I’ve quickly learned that TopRank Marketing has a stellar rep, fueled in large part by our CEO Lee Odden, who regularly appears as a keynote speaker all around the world promoting our brand and extolling our talent. Being able to work with prestigious international clients gives me a daily feeling of impact and accomplishment. There’s also a certain thrill inherent to being on the cutting edge with so many tactics and frontiers – most notably B2B influencer marketing at the moment. 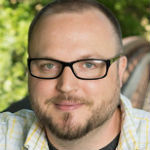 The post A Non-Agency Guy Reflects on His First Year at TopRank Marketing appeared first on Online Marketing Blog – TopRank®. Stay tuned for next week, when we’ll be sharing all new marketing news stories, and in the meantime you can follow us at @toprank on Twitter for even more timely daily news. Also, don’t miss the full video summary on our TopRank Marketing TV YouTube Channel. 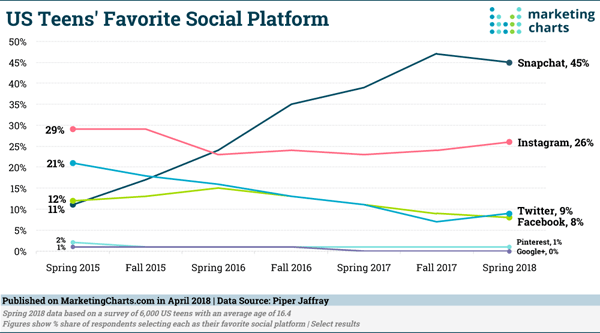 The post Digital Marketing News: Gen Z’s Snapchat Love, LinkedIn’s GIFs, & Google Gets More Time appeared first on Online Marketing Blog – TopRank®. It’s probably not news to you that 91% of B2B brands use content marketing to attract, engage, nurture, and convert their audience. However, it might be surprising to learn that only 9% of those brands rate their content marketing as “sophisticated.” Sophisticated meaning that their content marketing is successful, scales across the organization, and provides accurate measurement to the business. This puts a lot of pressure on content marketers to elevate their game and provide more worthwhile and valuable content experiences. As an adept Dungeon Master (DM) of Dungeons & Dragons (D&D) games, TopRank Marketing’s Motion Graphic Designer, Patrick Pineda, can relate. It might sound a little odd at first, but Dungeon Masters and content marketers are more alike than you think. Responsible for creating meaningful and memorable experiences through content that takes people on a journey, you can see the similarities arise. 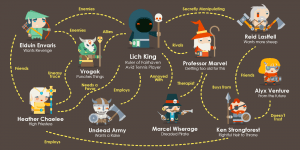 Just like content marketers need to help guide people through the buyer journey, the Dungeon Master needs to guide players through a journey of their own. After serving his friends as the go-to Dungeon Master, Patrick has learned a thing or two from creating lengthy campaigns-some successful, some not-that are both engaging and challenging. Discover Patrick’s lessons from the dungeon and how you can apply them to your content marketing campaigns and programs down below. What Is a Dungeon Master? For the unfamiliar, a Dungeon Master is the organizer for the wildly popular, 40-year-old tabletop role-playing game, “Dungeons & Dragons.” Not only do DMs organize the game, but they are also responsible for the game rules, details, and challenges. 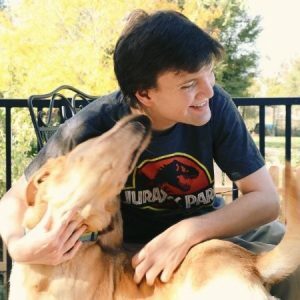 According to Patrick, the player experience hinges on a DM’s ability to create meaningful content that’s fun to explore. One thing Dungeon Masters are not responsible for, however, are the players’ actions. Like the self-directed buyers of today, D&D players are able to choose their own paths. As a result, DMs are challenged to make sure players finish the game. And just like your audience won’t read every piece of content you put in front of them, the same happens in a D&D game. Certain story elements DMs put together will never see the light of day because every player has a different play style, completes tasks in different orders, and takes different actions. “The best Dungeon Master doesn’t just create a good story, but they also help players reach their goals,” Patrick claims. Does any of this sound familiar? It certainly resonated for me. Having created D&D campaigns that ruled and bombed, here are Patricks top five tips for developing content that resonate with your audience. #1 – Your audience values originality. If Patrick creates a campaign that plays to common tropes like a damsel in distress or small town disappearances, the story becomes predictable. But worse than that, the players feel condescended to as the game starts to feel dumbed down. “Cliches and stereotypes will make players groan. It’s important when creating a campaign that I shake it up and play against common conventions,” Patrick says. When examining your content and the story you’re trying to tell, it’s just as important to stay original and play with your audience’s expectations. For example, listicles with social media tips are a dime a dozen. Your audience might be more interested if you flip the idea on its head with social media mistakes. In changing it up, you’re giving your audience something new that they haven’t read before, capturing their interest. #2 – Appeal to curiosity. When it comes to creating an adventure for players to navigate, the DM has a seemingly impossible job. They need to create a unique and compelling world that is able to hold players’ attention-something not easily done. In fact, campaigns have taken Patrick days to put together. But that doesn’t come without its drawbacks. “I’ve spent hours upon hours creating content for a campaign. But 80% of what I create may never see any playtime. It’s ultimately the players’ choice as to what tasks they want to complete and what quests they want to go on,” Patrick points out. While the D&D world needs to have a unique and compelling narrative, it also needs to appeal to a player’s curiosity to ensure they keep playing the game and play the parts of the game that you want them to. How does this apply to content marketing? Well, as you know, just because you’re producing content, doesn’t mean that your audience will find it. To find the answers they’re looking for, they might scour the internet, social media, and trusted experts for more information. Having an integrated content strategy that has multiple touch points throughout the buyer journey and an omni-channel approach, helps ensure you’re reaching your target audience whenever and wherever they may be searching. Weaving SEO, social media, and influencer marketing into your content marketing strategy helps improve the reach and engagement of the content you’re producing. Through SEO, your organic rankings and click-through-rates will start to rise, improving your organic traffic. Social media messages that are well written and value-based help attract larger audiences from their social feeds. And, finally, tapping into industry influencers exposes your content to a wider network of like-minded individuals, as well as adding authority and credibility. #3 – Avoid corraling your audience. Nobody likes to be told what to do, including D&D players. While the DM writes the game and serves as a referee, they cannot influence a player’s actions. And if a DM attempts to, they could quickly lose a player’s interest. “As a DM, it can be tempting to intervene and make sure that your players are playing the game the way you intended. But this is the one thing you cannot do.” Patrick emphasizes. This is true in content marketing, too, as making calls to action (CTAs) with zero context can be a turn-off for your audience. If you insert a CTA before your audience can learn what’s in it for them, whether it’s downloading an eBook, listening to a podcast, or subscribing to your blog, they’re less likely to do it. In fact, QuickSprout found that placing a CTA above the fold on a page decreased their conversion rate by 17% and attributed it to their audience not fully understanding why they should complete the action. Instead, make sure that your CTAs have plenty of context and explain what the audience will gain by filling out your form, reading another blog post, etc. This helps ensure that your content satisfies your audience’s quest for knowledge. #4 – Customize content for your audience, not the other way around. As we mentioned previously, the players are in charge of their actions and how they choose to play the game, making it impossible for DMs to have control over the game experience. This makes it important for DMs to know their audience ahead of time, so they can include important sought-after details into different game components. “I’ll ask players before we start what they hope to get out of the game, whether it’s take down an enemy or just to have fun. Knowing this ahead of time, I can tailor the game to what each player wants to have happen,” Patrick says. For content marketers, this lesson should hit close to home. You need to know your audience well in advance in order to deliver personalized content. If you create content and worry about your audience later, chances are you aren’t engaging the right people. After taking a look at your own audience’s characteristics and interests in Google Analytics, create unique personas for each of your audience members. This allows you to create content that is tailored for each person you hope to attract and engage. For example, if one of your target personas is a Director of Business Development, creating custom content that addresses a unique pain points like identifying new business opportunities or tips from the experts on how to strengthen their existing client relationships. #5 – Chart your course. There is a lot going on in a D&D game. And for the DM, that number is amplified as you have to remember every detail about your players, what’s been completed, and what could come next. “To make sure I’m on top of the game and can portray characters well, I chart the game’s relationships instead of story elements. If I focus on the story, it could quickly become useless as players might do things out of order or in a non-linear fashion. By focusing on the relationships and where they fit in the narrative, the game becomes more fluid and flexible for the players and I can keep track of their journey,” Patrick says. Tracking the journey isn’t the only thing Patrick notes, however. He also documents player strengths, weaknesses, and stats as the game progresses. “I keep a character sheet that details each player’s play style. For example, if a player is investing their skill points in intelligence, I can tailor future encounters in the game to focus on problem-solving instead of combat. The opposite is true for a player who invests in raw strength,” Patrick notes. Through detailed charts, maps, and grids, Patrick is able to make sure that his players have a personalized, seamless experience for every campaign they play, regardless of how they play it. By taking the same approach with your content marketing, you can identify opportunities for customization and develop a strategy for weaving your content into the buyer’s journey. For example, by knowing which pieces of content attract a larger audience or drive more conversions, you can use that information to inform your content development and map your content to different stages of the funnel (see below). To collect this data on your content and audience, review your Google Analytics behavior and conversion dashboards to find our which pieces of content excel at attracting, engaging, or converting your audience. Metrics like page views and entrances are good indicators for attraction, whereas time on page or number of pages per session can help you understand engagement. And, finally, the number of conversions through conversion tracking is the best way to find your top converting content. Armed with this knowledge you can create content plans that are tailored for your audience’s unique buyer journey. A good Dungeon Master enables players to become the hero of the story through a personalized game with a compelling, original narrative. As a content marketer, it’s your responsibility to create content that transforms your audience into heroes as well, helping them solve seemingly impossible problems with your expert, best-answer advice. Through an integrated content strategy with originality, personalization, and “best answer” content that’s mapped to the buyer journey, you can become the perfect Content Master for your audience. For more ideas on how to become a masterful content marketer, check out these 25 content marketing tips, including how to tackle writer’s block, repurpose content, utilize storytelling, and more. 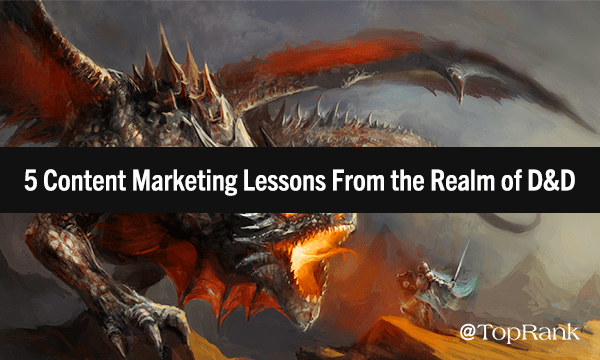 The post What Content Marketers Can Learn From an Adept Dungeon Master appeared first on Online Marketing Blog – TopRank®. Whether you’re a new Marketing leader at a company in need of establishing wins quickly or part of a growing organization with ambitious revenue goals, the challenges within marketing today are greater than ever. To help make sense out of these challenges, I’ve listed 6 of the top obstacles to brands achieving effectiveness out of their marketing and how collaborating with influencers on content help solve each problem. 600 million devices are using ad blocking leading to a loss of $22 billion in ad revenue for publishers (PageFair). If buyers don’t ever see your ads, what chance do you have? Challenge solved: Contrary to ads, influencers are liked and because people pay attention to the influencers they follow, shared brand messages are far more likely to attract and engage buyers. When you subscribe to the idea that everyone is influential about something, especially with their friends, co-workers and social connections, this statistic from Nielsen (83% of consumers trust recommendations from their peers over advertising) becomes very powerful. Collaborating with influencers on content that the influencers then promote to their subscribing community can become a powerful differentiator for any marketing program. Of course not all customers use ad blocking and there are incredible opportunities to be realized with sophisticated ad targeting. That’s why when properly executed, influencer content can be leveraged for both organic and paid promotions. Consider this: 90% of the world’s data has been created in the last 2 years. That’s 2.5 quintillion bytes of data a day (IBM). In fact, 74gb of media are sent to the average consumer on an average day (USC/ICTM). The sheer number of choices faced by consumers and general distrust has turned brand marketing into noise for many customers. Challenge solved: Influencers are Focused. One of the most compelling reasons a person is influential is because of the specificity in the topics they cover. Because of that specialization, buyers anticipate rather than ignore or feel overwhelmed by what their trusted influencers share. While some influencers distribute their content on multiple channels, their personal brand focus plus consistency and trust equals a signal that buyers pay attention to. Search Engine Optimization bloggers have been positing this question for 10+ years. With Google algorithm and platform updates including Florida, Panda, Penguin, Hummingbird, Pigeon, RankBrain, Mobile, Possum, Fred and the thousands of launches, live traffic experiments, side-by-side experiments and over 130,000 search quality tests, it makes you wonder: is this all for improving the customer experience or is some of it to thwart SEO? Challenge solved: Google actually likes influencer content. Another key ingredient to why someone is influential is their credibility and authority. An influencer’s specific expertise and their ability to provide insights, answers and even research based perspectives all deliver on the Google’s expectation that content be useful. Beyond influencer content being useful, there’s the practice of making content worth linking to. Influencers typically have a subscribed audience, many of which publish themselves. When influencers publish and promote content, it naturally attracts links. By optimizing content for search and activating influencers, brands can create opportunities to help customers find trusted content and everybody wins. Or ads. This is a hard pill to swallow: 42% of consumers distrust brands and 69% distrust advertising according to a study by (Ipsos Connect). Challenge solved: Influencers are trusted. A recent study by Fullscreen and Shareblee via MarketingCharts found that nearly 40% of 18-34-year-olds are more likely to trust what an influencer says about a brand than what the brand says about itself. Additionally, Twitter reports that users trust influencers nearly as much as their friends. Collaborating with influencers on content can bring authenticity, credibility and trust to that content. When influencers share that content, the effect of their audiences’s trust goes even further. According to the annual study by Content Marketing Institute and MarketingProfs, some of the top content challenges marketers included: 60% producing engaging content, 57% producing content consistently. Challenge solved: Creator Influencers are experts at creating content. Influencer content creation and storytelling skills come in many forms: blogging, podcasting, video, images, and sometimes interactive. Brands can extend the media creation skills of their marketing departments by partnering with creators with specialized skills. In addition to skill, creator influencers have an audience to promote the content to. Not only is Facebook organic reach down 52% (MarketingLand) but declarations that organic reach on Facebook is outright dead for brands are being stated by many credible industry publications, including Digiday. Challenge (partly) solved: Influencers have optimized social popularity. Influencers create the kinds of signals that social network algorithms reward with higher visibility. Influencers understand what resonates with their audience in terms of topic, content type and promotion. 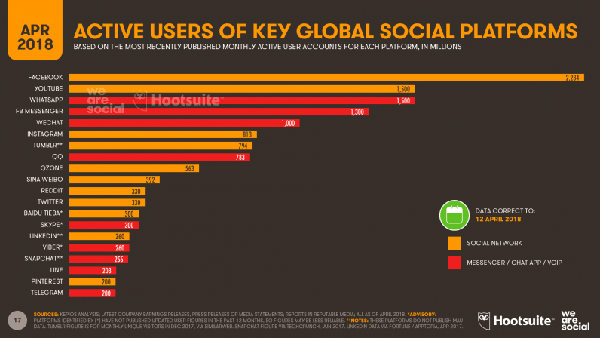 Those same influencers also have an active audience that engages with their shared content. This is a powerful combination for triggering social network algorithms to prioritize influencer content in the feed. Influencer Marketing is no silver bullet. Neither is content marketing or any kind of marketing approach. Authenticity – Choose influencers that represent your customers and the resulting message will be a lot more genuine to what buyers actually care about. Variety – Including experts beyond your marketing department can generate a greater span of content ideas. Quality – Tapping expertise can boost the quality beyond what marketing department copywriters might be able to produce. Quantity – Engaging a group of influencers on an ongoing basis can boost the volume of content. Factor in repurposing and you’ll create even more content options without increasing spend. Reach – Trusted, credible experts promoting content can reach audiences that are very difficult to connect with through any other way. Trust – The credibility, expertise and authority of influencers that collaborate with a brand over time can grow trust for the brand. On top of that, there are efficiency benefits. We have implemented influencer content campaigns where influencers have contributed anywhere from 20% to 80% of the content for the entire campaign. Then there are the effectiveness benefits. For an organic influencer content campaign, achieving a 50% share rate amongst influencers is impressive. We’ve had many programs with over 100% share rate. Why? By communicating effectively, setting expectations and making content that contributors are proud to be a part of. The reality is that influencer content programs can deliver value across the entire customer lifecycle, not just awareness. That means improved engagement and conversions. There are many more challenges for marketing than the six above. 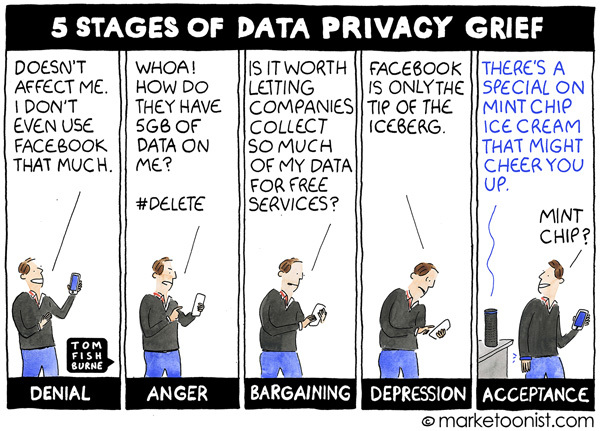 I didn’t get into martech shock (too much tech), difficulty in finding qualified marketing candidates, measurement challenges or the implications of the lockdown on data represented by GDPR in the EU and recent attention being given Facebook by lawmakers. But addressing the six above should give the vast majority of marketers reading this an advantage. Establishing relationships with qualified, capable influencers can bring a tremendous amount of value to a company’s content marketing effectiveness. When influencer marketing is thoughtful, ongoing and properly managed, it becomes a force multiplier that is difficult to duplicate. Are you planning a content marketing program right now? Who are your best influencers? Who are your best employee advocates? Which industry media do you have the attention of? Which of your customers are most likely to advocate for your brand? Do you know if they are influential? Do you know which of your prospective customers are influential? Answering these questions can open the door to content marketing success for your brand and mutually valuable relationships with the people that actually influence your customers. 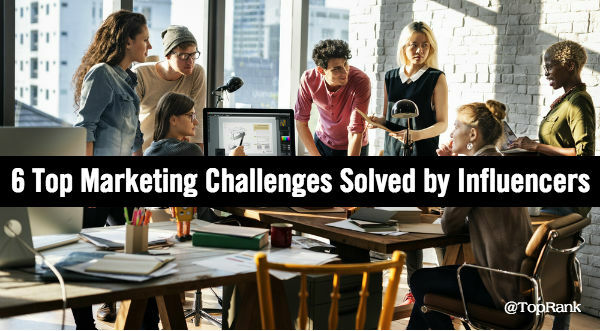 The post 6 Top Marketing Challenges Solved by Influencer Content appeared first on Online Marketing Blog – TopRank®. Don’t miss next week, when we’ll be sharing all new marketing news stories, and in the meantime you can follow us at @toprank on Twitter for even more timely daily news. Also, don’t miss the full video summary on our TopRank Marketing TV YouTube Channel. The post Digital Marketing News: Cryptofluencers, Google’s Infinite Scrolling, Influencer Trust Grows appeared first on Online Marketing Blog – TopRank®. Keywords, content and links. This is the currency of the Search Engine Optimization world and the rules for spending that currency seem to be in a constant state of flux. At TopRank Marketing, we take a conservative approach to attracting links through purely organic means. Our focus is on creating content that’s actually worth being linked to with an emphasis on customer engagement and share optimization over pure SEO value. The irony of this approach is that while we don’t “build links” directly for SEO, the attraction based approach we take typically results in links that are very high value and sustainable that many overt link building tactics. In this session at Pubcon Florida, Ann Smarty @seosmarty from Internet Marketing Ninjas broke her multi-year silence on link building to share her current insights on the topic of link building through relationships. To understand link building for SEO, you must first understand what NOT to do. One important lesson is not to scale link building. Scale risks not being useful to consumers and Google responds to that with penalties. 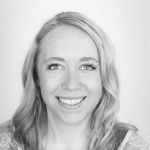 Early on, Ann recognized the value of guest blogging and started a community. In 2012 Matt Cutts from Google shared that guest posts were ok as long as bloggers simply didn’t duplicate the same post over and over. However, once SEOs recognized the value of link building, they exploited it. In 2014 Google penalized Ann”s community and guest blogging has been deemed a risky tactic ever since. The rub: You cannot scale link building, but you can’t really get anywhere in SEO without it. 1. Relationship powered link building. The most important rule is that you do not “ask” for links. Be authentic. Genuinely and openly do your best for each opportunity you come across. SEMRush does a great job at this – they have multiple active community managers, they create free and useful content that attracts links organically. Spend at least 20% of your time genuinely helping people without asking for anything back. Make sure your brand identity is consistent across all your web networking channels. Create relationships of mutual value and the relationships will grow. This is true with people who are not yet influencers – they may be more willing to collaborate. But when they do become influencers, the relationship will be far more valuable. Brainstorm educational resources and types. What can you contribute to the community in terms of educational content? Research broken links in your industry and related industries: Take a trusted resource in your industry and use Majestic Site Explorer to identify broken links. Find all pages linking to that deleted resource. Then reach out to with a fix using your resource. Research broken links in your industry and build a powerful connection. Work with industry experts (scientists, teachers, writes) to create a better resource than the original. Enhance your outreach by mentioning a notable industry expert who has been working with you on the new resource (that had been involved with the deleted resource). 3. 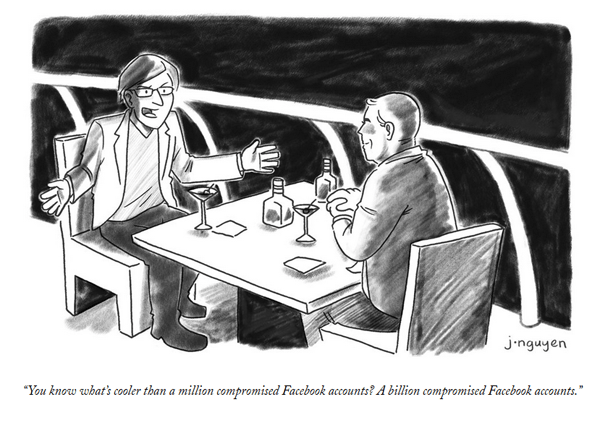 Viral Marketing and relationships. Create a variety of formats of content, aka digital assets. Use viral content + social media promotion + smart email outreach. Get exposure on popular destination or community sites. For example, find moderators or sub-reddit influencers to seed your content on Reddit. Content that gets featured on Reddit’s front page can attract many links. If you seed your content the right way, it can get noticed by many media properties which can mean a quantity of high value and organically sourced links. LaterForReddit allows you to discover relevant subreddits and analyze what time slots and days of week are best for discovering content. Also helps identify active Reddit users and moderators. Twiangulate can be used to discover influential media contacts (journalists or bloggers) in your niche / location. Search using the specific publication name to find employees. BuzzSumo to discover more influential media contacts in your niche. Search content to find interviews that have already been done and who did the interviews. Also who was the interviewee so you can interview them as well. Twitter Lists & TweetDeck to manage influential media and engage with them. Engage in relationship building 24/7 with influencers, bloggers, and journalists. Create a LOT of good content, both educational and viral / entertaining + identify people who can help you get the word out. Invest in community management and brand ambassadors. 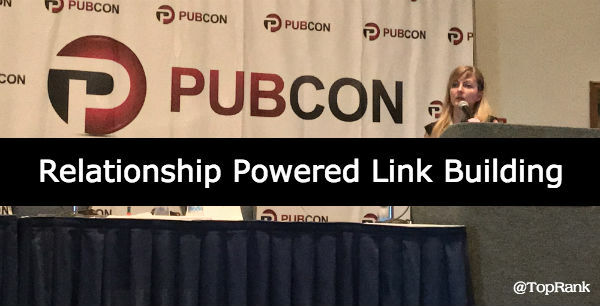 The post Relationship Powered Link Building #Pubcon Florida appeared first on Online Marketing Blog – TopRank®. This session on influencer marketing and SEO is the first up for me on day one of Pubcon Florida, which has grown from a one day to a two day event. It’s easy to see why: The speaker line up is chock full of current smart search marketing advice from a great collection of expert practitioners. First up is birthday woman Marcela De Vivo. Happy Birthday Marcela! Influencer Marketing is hot right now for a variety of reasons: consumers increased use of ad blocking, increased competition and working with the right influencers can make your marketing more effective, especially with SEO. But working with influencers and getting them to pay attention to your brand can be hard. Impressions are nice, but how do you get influencers to truly impact your ROI? One of the best ways to get ROI out of influencer marketing is to bring it into your SEO strategy. To do that, understanding the top SEO ranking factors will help you understand opportunities to incorporate influence with SEO. Site traffic – Number of direct visits for high volume keywords. Influencers can be a great source for direct traffic. Influencers can generate demand for your brand which also creates visits to your site. User engagement signals – Visitors coming to your website from search – pages viewed per session and bounce rate. Influencers that have a trusted niche of followers that trust them to recommend sites to visit. That trust should result in an audience that delivers stronger user engagement signals. Links – Total backlinks to a domain, referring IPs, and total follow backlinks. With influencers you get links they share to your site but ideally, their followers may also link to you. One way to work with influencers this way is through giveaways where content is part of the contest. Natural organic content – Longer content tends to perform better than shorter content. Things like keywords in the title and H1 tags. Influencers can contribute content to your site that your brand owns. Then you can encourage influencers to share that content that they created hosted on your site. You can also use Facebook ads to promote that content. Alternatively, you can sponsor the influencer to create content on their own site and encourage them to promote. Start by picking the social media channels you want to target. Create a list of potential influencers using Google, social networks or specialty tools / networks of influencers. Contact the influencers via email, phone and/or social media. Get creative. Get pricing information from the influencer. Negotiate a detailed agreement with deliverables. Focus on long term partnerships. Send the influencer a descriptive campaign brief. Track, monitor and amplify their posts. Measure influencers against each other with an assessment tool. Gather all the data about influencer activity and estimate the CPM value. Include data like: followers, blog traffic, demographic data, engagement per post. Calculate total relevant audience. Then figure out the engagement to audience ratio. Add total cost and divide by total relevant audience divided by 1000. With this data you can identify which influencers are the best to work with. Combine Facebook live videos with influencer amplification. Live videos often have good organic reach. Run ads against the influencers own audience. Be sure to use the same post ID when you promote content to build social proof. After the live video on Facebook, upload them to YouTube, creata a bog post with them, get the influencer to share your video blog post and use Facebook ads to amplify the posts. Following these guidelines will result in links, traffic and engagement – all signals that are good for SEO. Next up is Dixon Jones who is retiring after 20 years in the industry at the end of this year. Congratulations Dixon! 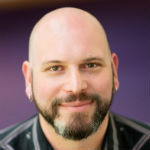 Dixon asks, to leverage influencer marketing to improve SEO what are we trying to do? Get them to write about you and to get them to like and share your content. Likes and shares are nice, but they’re just not as impactful to SEO as links. BuzzSumo did some research on why people share and link to content which is useful when planning how to get influencers to link to your content. Why might influencers link to your content? Takeaway – An influencer can amplify a link for you very effectively. How many links is enough? Dixon says “one” if they’re from the right source. It’s not about the quantity, it’s about the quality. That means being careful about which influencers you work with. Identify the right influencers. Use Majestic’s search engine to find relevant content with desirable inbound co-linking ratios. 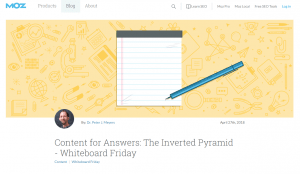 Also, BuzzSumo’s tool for finding top content and authors for a keyword. Review where they publish. Use whatever communication tool that the influencer prefers – not what is most convenient to you. Engage the influencers. Doing this right is hard. Networking is priceless. It’s your chemistry not the tools that matter. Use tools like Influsionsoft, Sendible, Outlook, Rapportive. Build trust, be honest and be sincere. Ultimately, its about the beer (for Dixon). Build genuine relationships that can be leveraged when you have something valuable to share with them. Define the digital asset. Content isn’t necessarily king. The best thing might be an idea, a produce, or a process. It doesn’t have to be a URL. Prepare the launch. When you have something good to say and great relationships with relevant influencers, send them a preview of what you’re going to announce. Tell them the link URL and the exact time of launch. Then remind them it is live. Monitor results. Choose a KPI and stick to it, Is it a digital asset? Traffic from the influencer’s content? Search traffic? Citation flow or Trust flow? Just be sure to look at impact over time, not just in the short term. Compare similar campaign metrics with each other vs. mis-matched metrics. Finally, Dixon asks and answers: How can you get influencers’ attention? By sharing something new, authoritative, referenceable, or unique. And that’s a wrap. Great job Marcela and Dixon! If you’re interested in influencer marketing tools to use or other content about influencer marketing, be sure to check out our past posts on the topic. 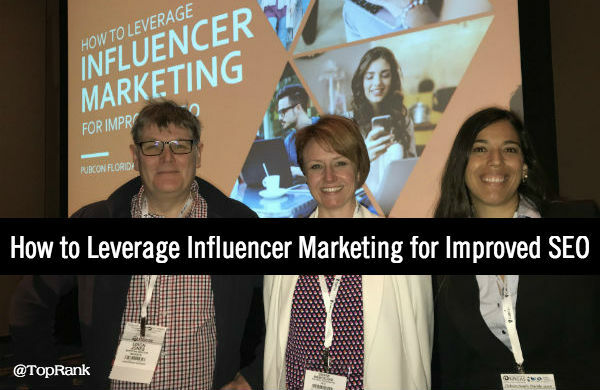 The post How to Leverage Influencer Marketing for Improved SEO #Pubcon Florida appeared first on Online Marketing Blog – TopRank®.